I have to admit that I was looking forward to visiting this station and wasn't disappointed. 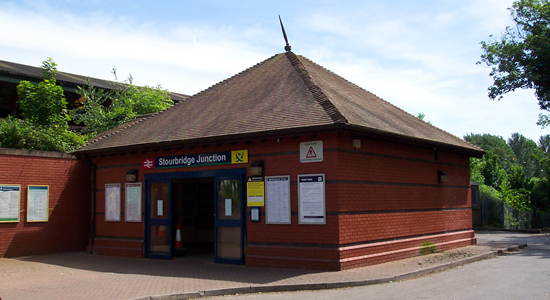 However, I should point out that the original Stourbridge station lay just to the north of the present station (off what is now Junction Road a few minutes walk from the present station) and opened in 1852 under the Oxford, Worcester and Wolverhampton Railway: the station and junction (which came into being when the GWR opened the branch to Stourbridge Town in 1879) being moved by the GWR to its present location. Above we see what is now the booking hall/entrance to the station. This is not the original from 1901, as can be discerned, but was built in 1988/9 following the demolition of the much larger, two-storey original. 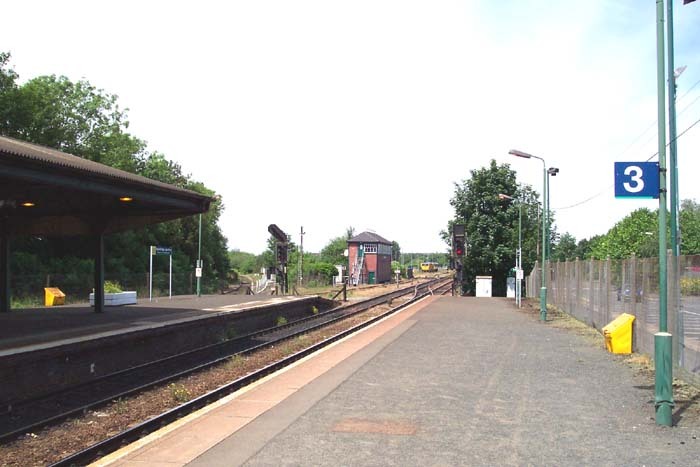 Much of this station has changed over the years, particularly during the late-1970s and 1980s, but it still retains character - no mean feat when you consider some of the other stations in a similar position in the region - as can be seen below. 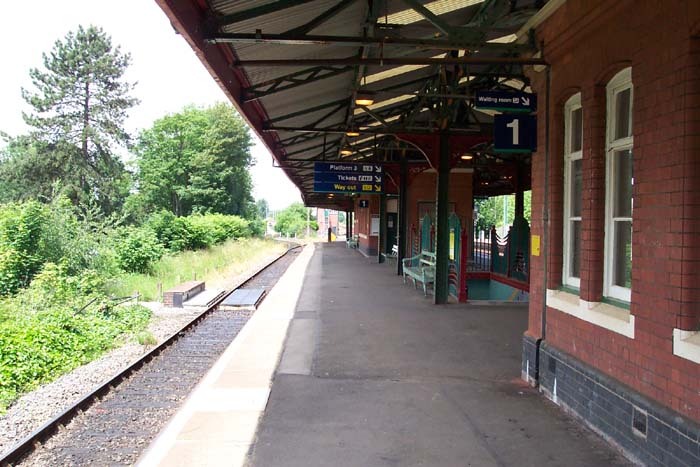 Above-left we are standing on Platform 1 of the station that now serves the single-line branch to Stourbridge Town station. In this view, however, we are looking in the opposite direction to the end-of-the-line 'stop' markers. 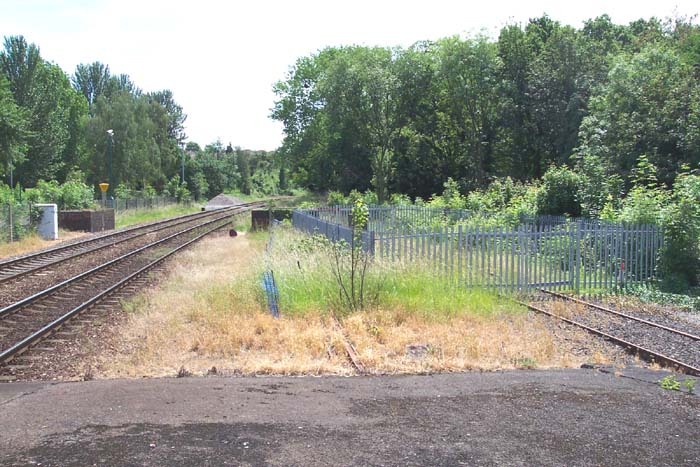 Above-right we have walked forward from the previous shot and can see that beyond the traversable part of the line is a fenced compound, built to house the Parry People Mover that was trialled on the shuttle to Stourbridge Town, through which the track still runs! To the left of the shot we can see the lines used by the Birmingham-Worcester-Hereford Central Trains services that depart from platforms 2 and 3. 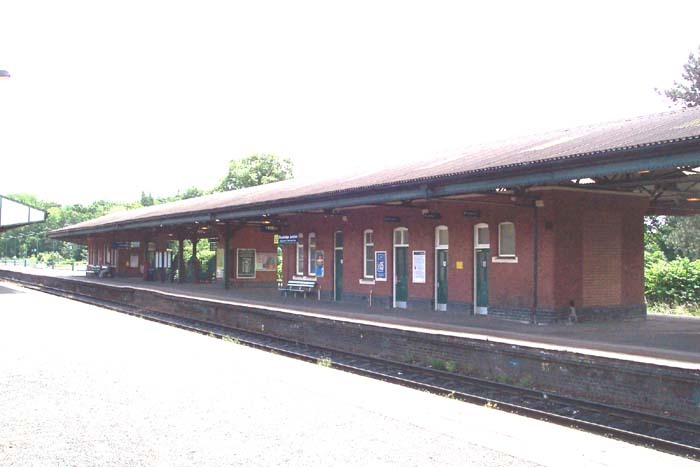 Above-left we have turned to face the station in the direction of Birmingham with the Stourbridge Town branch curving away to the left just beyond the end of the platform. 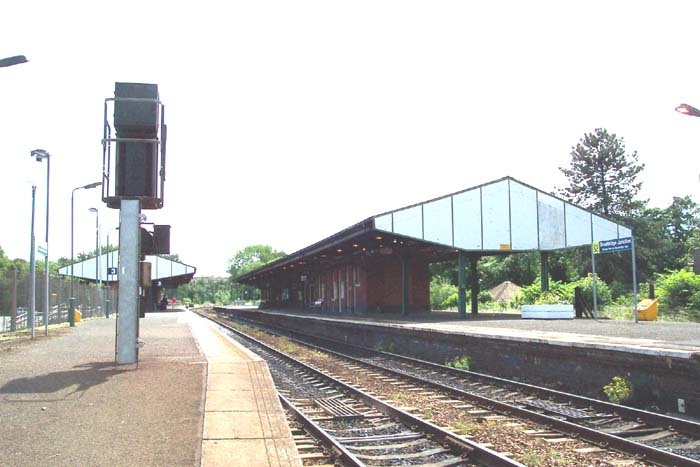 The roofing canopies at the station, and seen above along Platform 1, replaced the typical GWR dart-fringed originals during the late-1970s but the current design has retained some character for the original platform buildings. Above-right we get a view of the whole station from the end of Platforms 1 and 2 looking towards Birmingham. This view gives a good perspective on the roofing used at the station which, although of a modern flavour, is not totally out of keeping with the station. 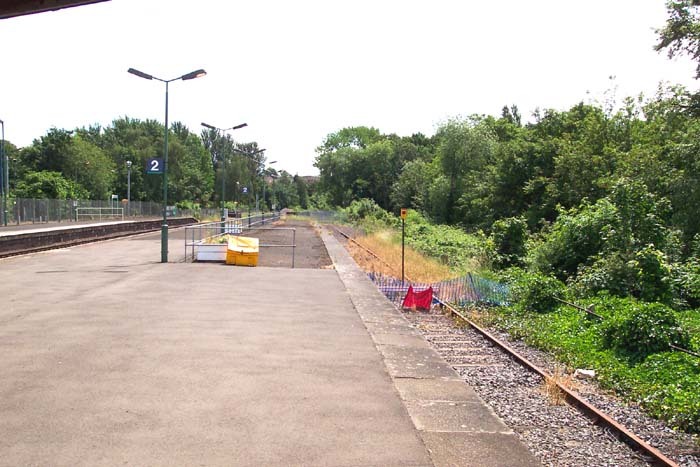 One of the significant changes that can be discerned here is that the station originally consisted of two island platforms but has now lost Platform 4 to the current car park (extreme right). 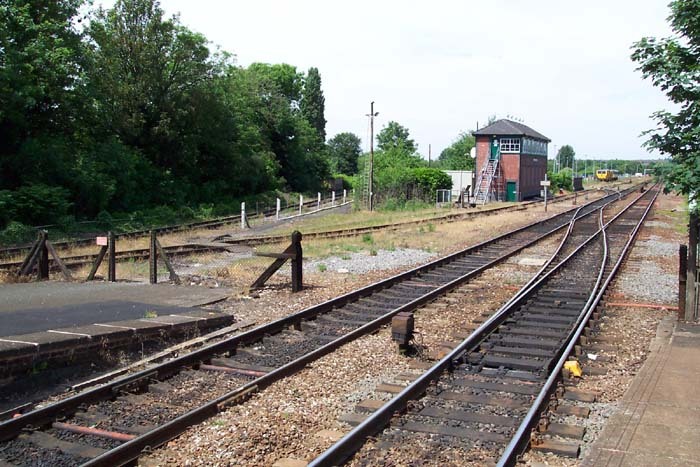 Above-left we have walked ahead from the previous shot to the other end of platforms 1 and 2 and can see the remaining signal box in situ as 150104 passes, beyond which are sidings that used to be the goods yard that are still extant but no longer for goods purposes. 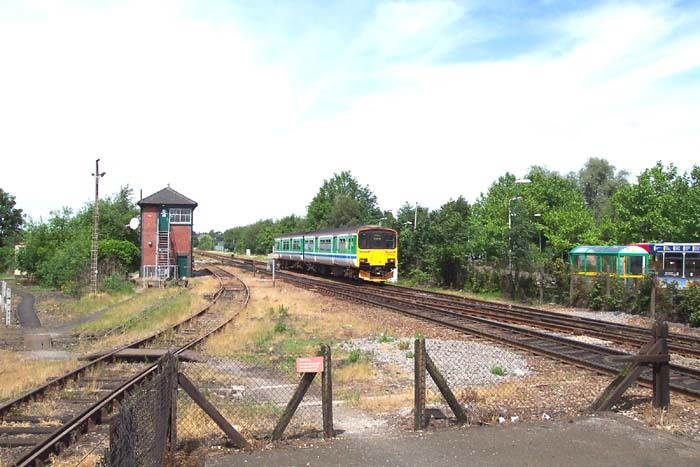 The branch to Stourbridge Town is off-camera to the left although the line seen in the left of the shot that passes the signal box spurs off the branch. Above-right we are in the same spot as for the previous photograph but have turned to our left to see the somewhat overgrown and disheveled Stourbridge Town branch heading off on its short journey. 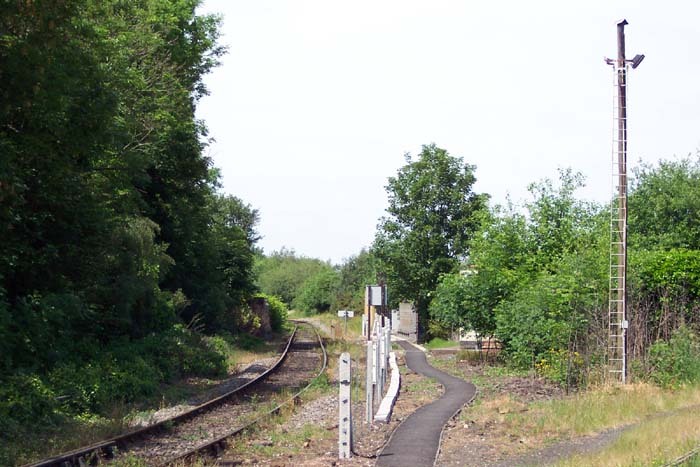 The line was originally double-tracked with the right-hand line used for goods traffic feeding a short-spur beyond Stourbridge Town station to Town Goods. Above-left we are looking at the remaining island platform - now platforms 1 and 2 - from platform 3. Above-right we are at the Birmingham end of platform 3 looking back at the station towards Worcester. 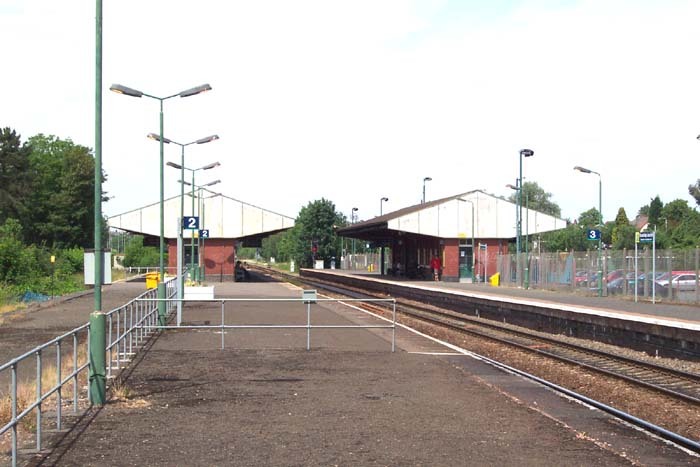 This view gives a clear indication that platform 3 was also an island platform with platform 4 to the left: note the arrangement of the canopy to the left. Above-right we are still on platform 3 but this time looking towards Birmingham with the goods yard, abandoned in 1965, ahead that appears to be now used for occasional permanent way vehicles and equipment. Above-right we get a good perspective on the Birmingham end of the station including the signal box and the branch off to Stourbridge Town on the far left. 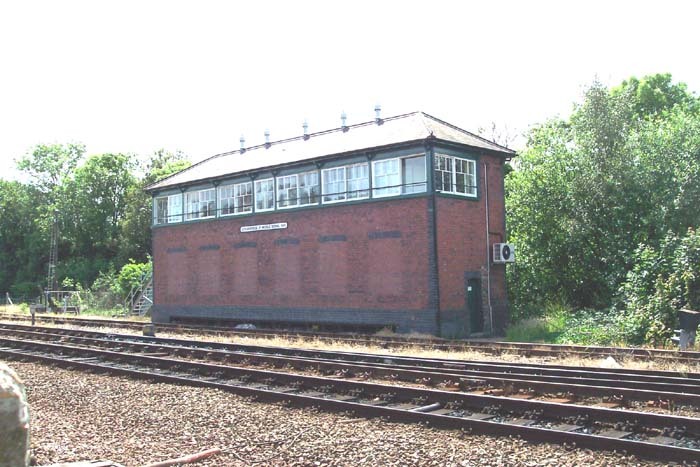 Above are two shots of the signal box: above-left taken from platform 3 and above-right from the car park. It is quite an impressive structure and appears to have had six windows bricked-up at track level at some time during its life. 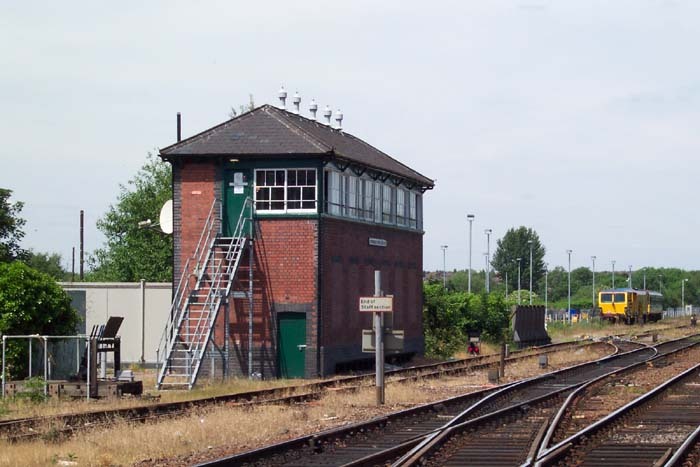 Unfortunately, the signal box does not enjoy the furious activity once experienced when the full site was operational. 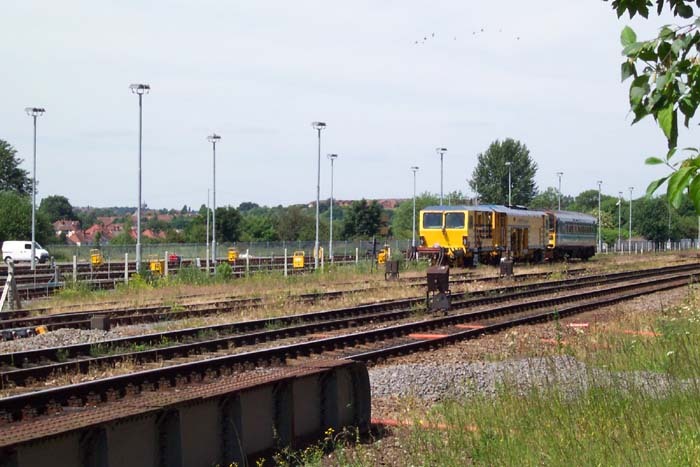 Above-left we see the part that remains of the goods yard with a track repair vehicle at rest in one of the sidings. 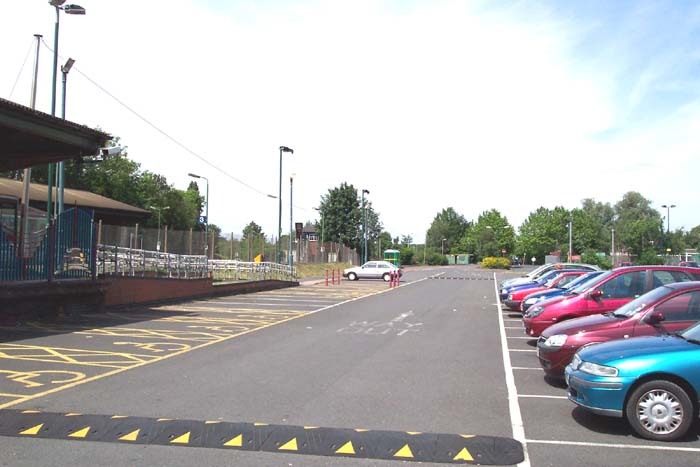 Above-right we are in the car park: the disabled spaces to the left mark the trackbed of the missing line and carriage sidings that once occupied the spot with the now non-existent platform 4 to the left that now forms the entrance to the station from the car park.